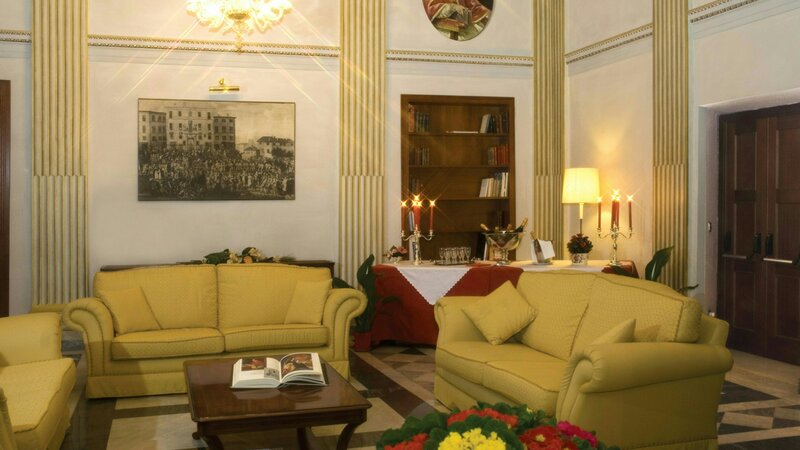 The hotel Antico Palazzo Rospigliosi is centrally located on Via Liberiana next to the Basilica of Santa Maria Maggiore, right in the heart of Rome's historical center, perfectly connected with the rest of the city by bus and Subway.Please wait for the interactive map to load... Navigate within the map with your mouse to zoom in and out, or click here to go full screen. 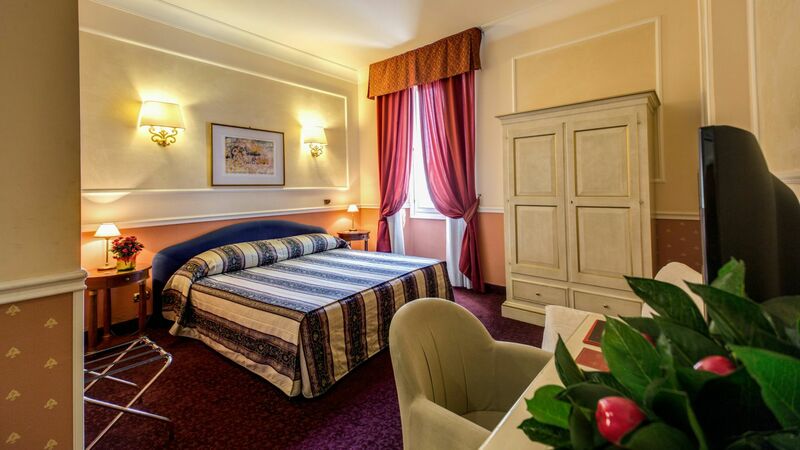 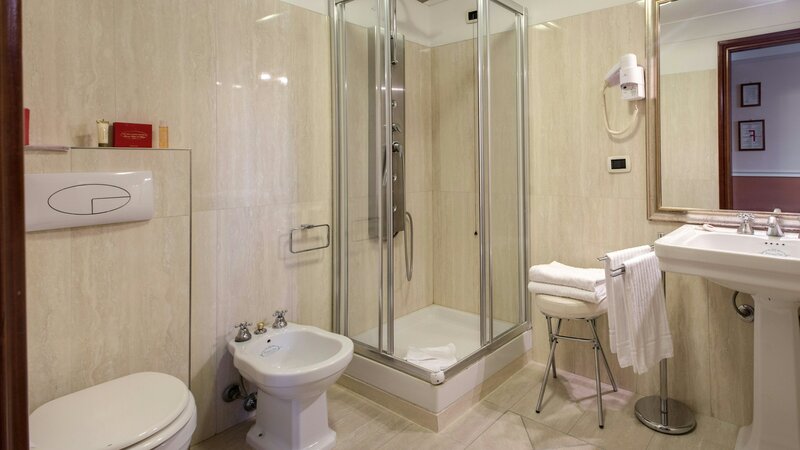 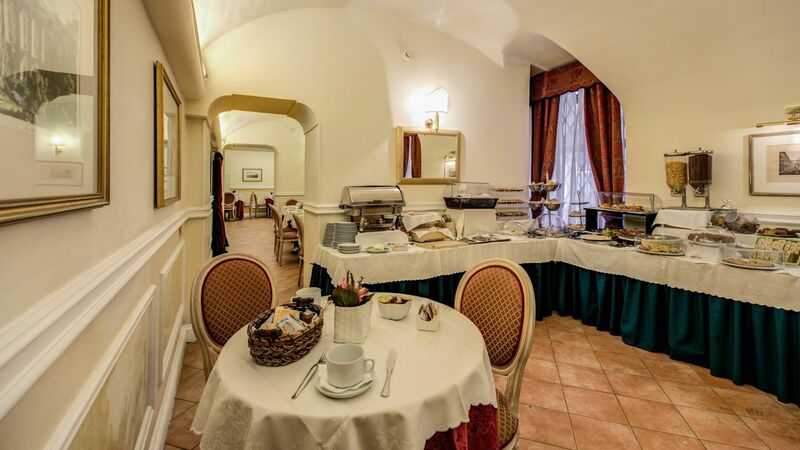 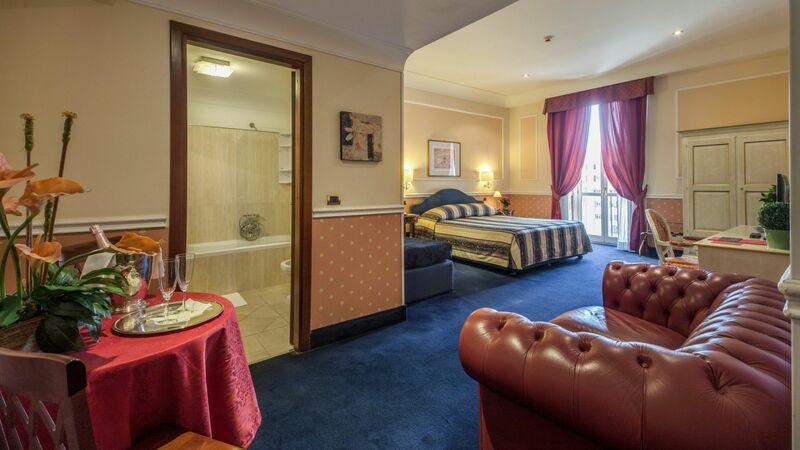 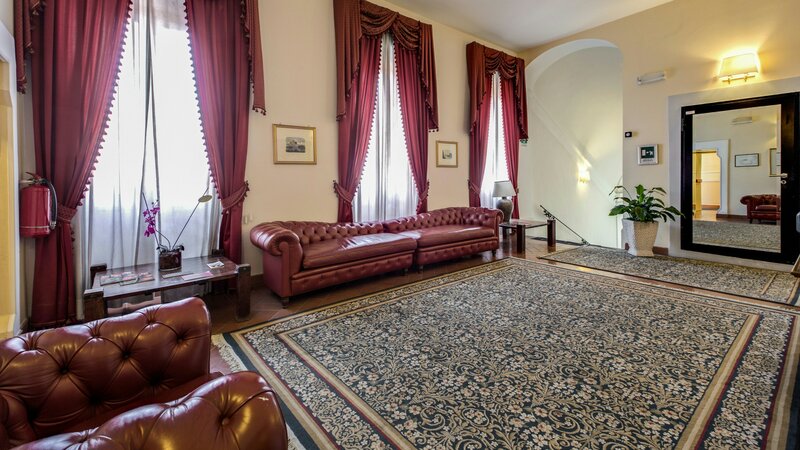 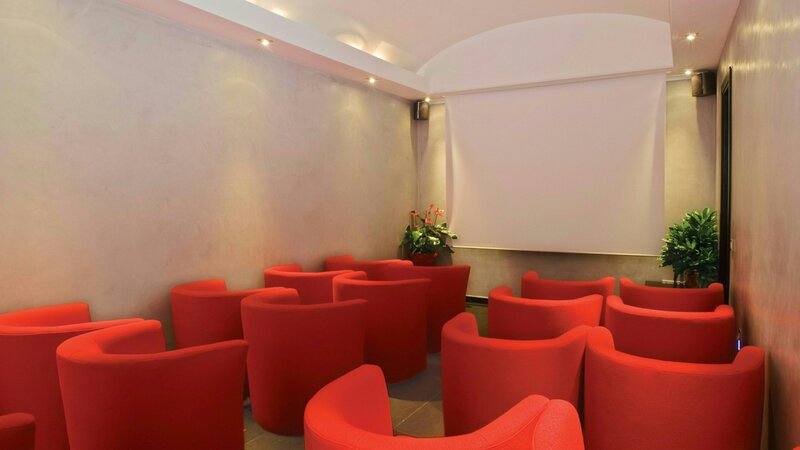 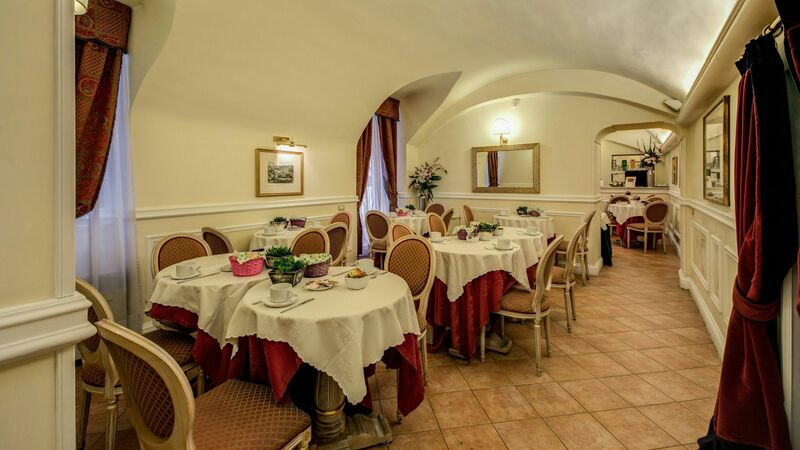 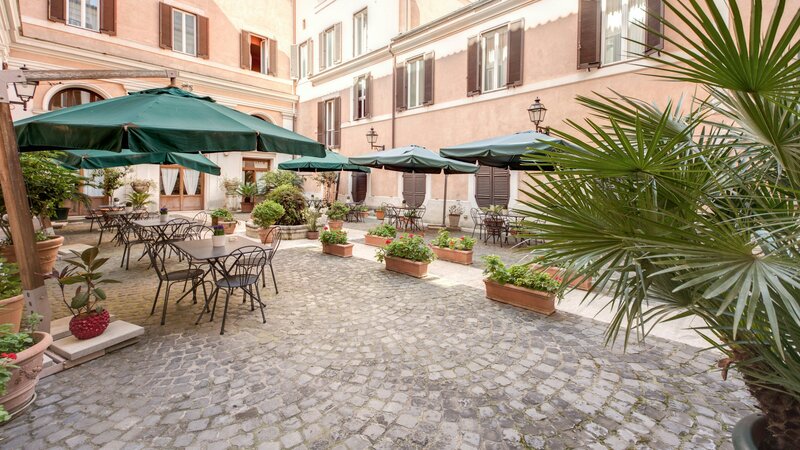 The Hotel Antico Palazzo Rospigliosi boasts a super location near all the most important monuments in Rome such as the Roman Forum, Colosseum, Catacombs, Trevi Fountain etc. 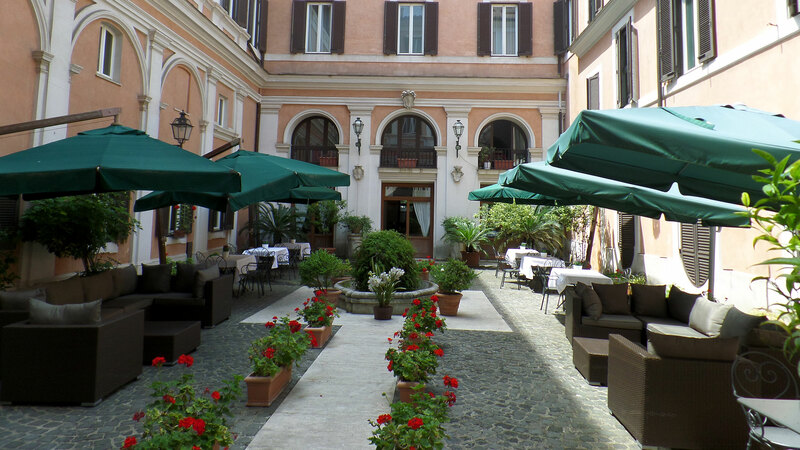 <br><br>The shopping in the nearby Via Nazionale is among the best in Rome and the financial district of Rome E.U.R. 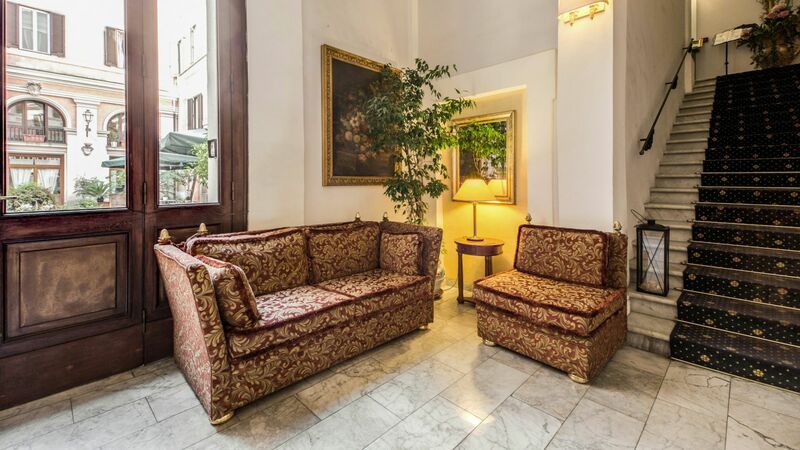 is easily reachable by Metro Line B Stop Cavour (150 meters) Finally, if you are looking for some of the Best Shopping in Rome then our hotel is the ideal choice with some great shops and retail outlets located nearby. 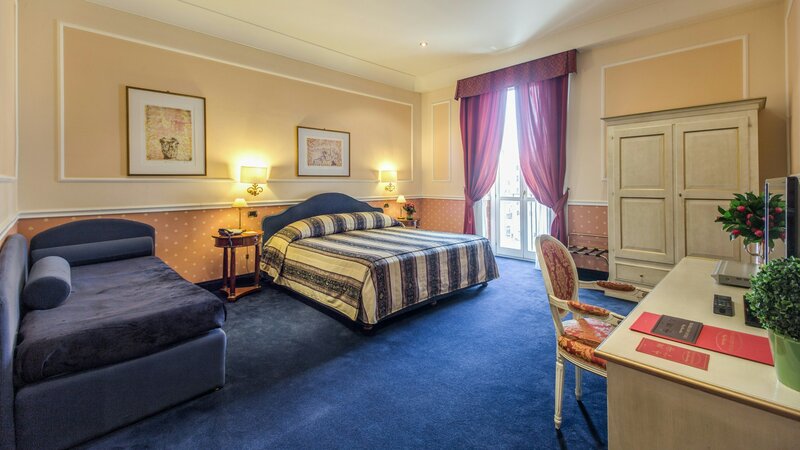 Other nearby attractions include the exclusive Via Veneto, Via Condotti and the Spanish Steps, all of which are easily reachable on foot from our prestigious 4 star hotel in Rome. 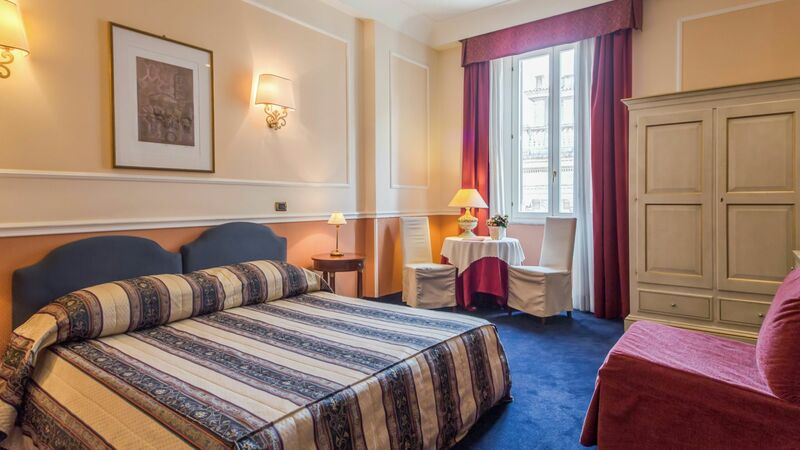 Up to 2 guests are allowed Children aged 0-3 are free if they sleep in a double/twin room with their parents. 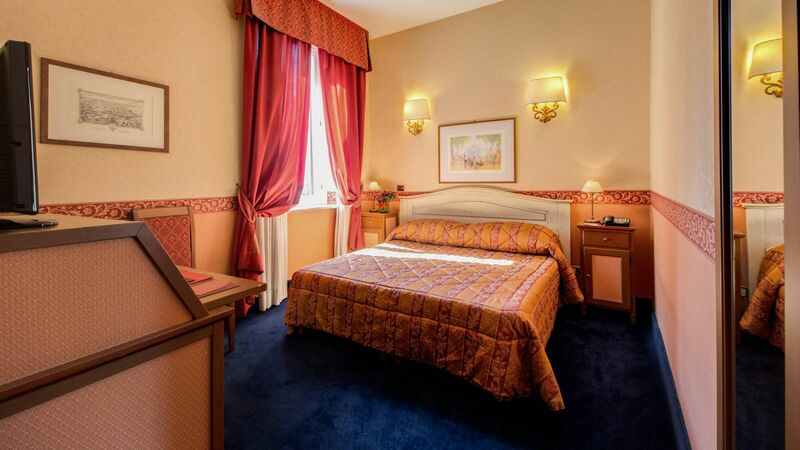 Up to 3 guests are allowed Children aged 0-3 are free if they sleep in a double/twin room with their parents. 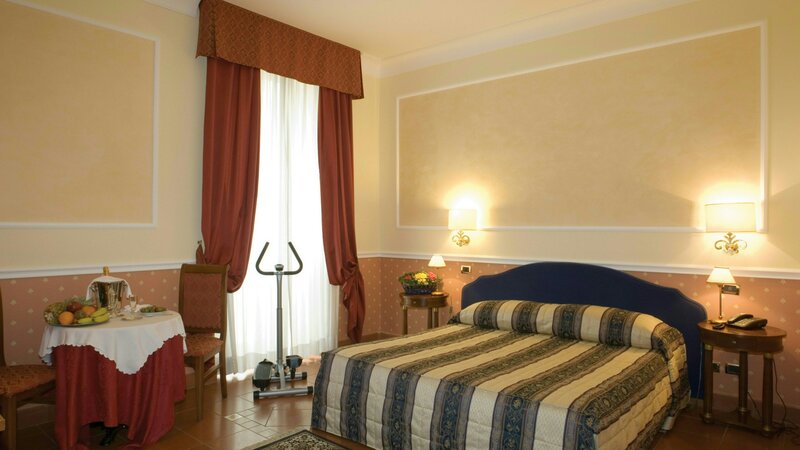 Up to 4 guests are allowed Children aged 0-3 are free if they sleep in a double/twin room with their parents. 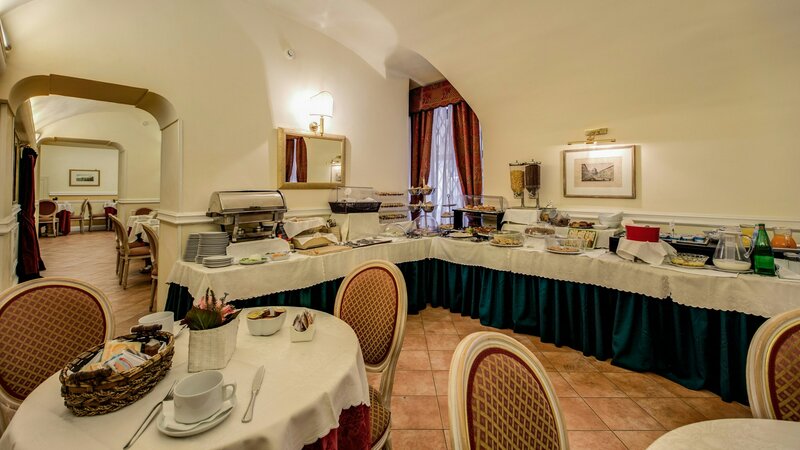 The 4 star Hotel Antico Palazzo Rospigliosi contains 4 star services and amenities in keeping with a hotel of this category. 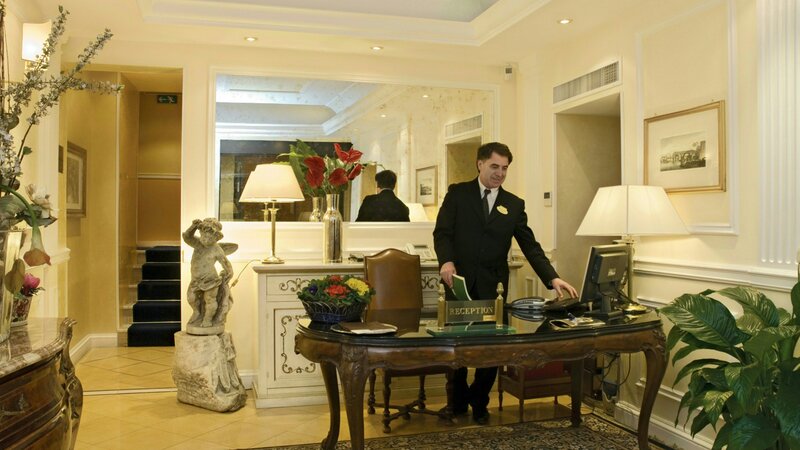 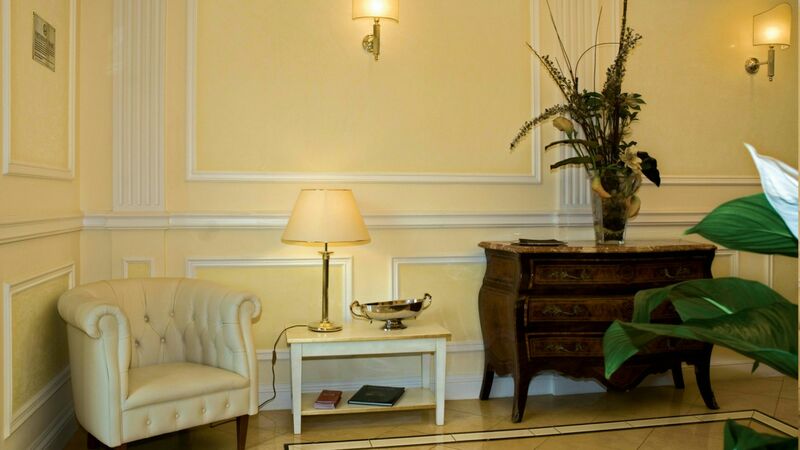 Our professional and helpful concierge is at your complete disposal for the duration of your stay whether it is advice on attractions to see, directions or help in acquiring tickets for the Opera, Football or Rugby matches the Concierge is there to help you. 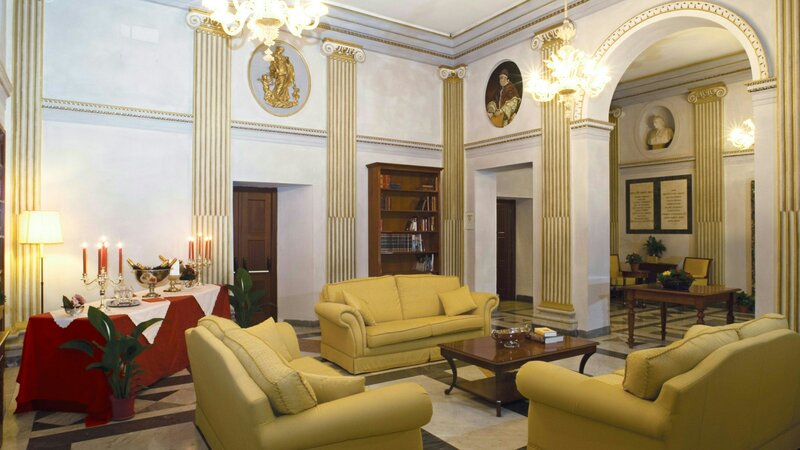 The Reading Room (ex living room of this former Cardinal's home) is a great place to relax and unwind after a long day's sightseeing.